Seattle will swap its usual cup o’ Joe for a spot of tea this weekend, October 2-3. 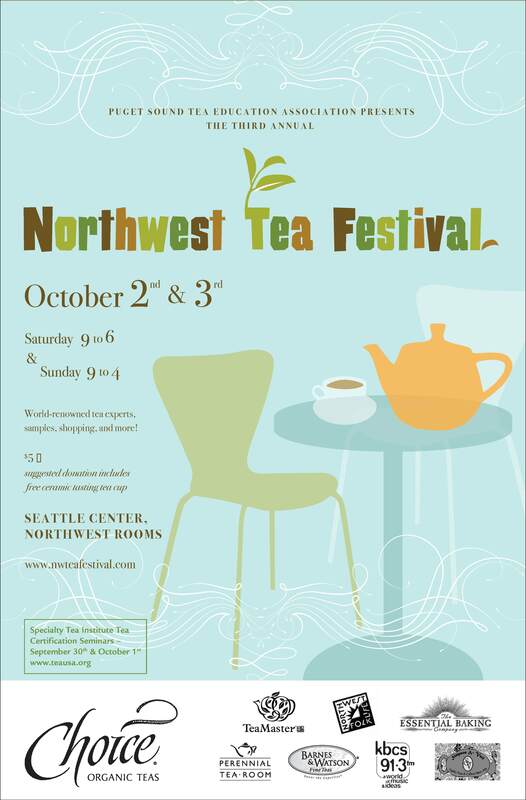 The Northwest Tea Festival brings world-renowned tea experts, samples, shopping and more to Seattle Center. The premiere celebration of tea in the region, the Northwest Tea Festival is for tea lovers of all ages. The Festival spotlights all aspects of tea; from the cultural to the historical and the sensory to the scientific. The Specialty Tea Institute offers, for the first time on a local level, its tea certification program for tea professionals and aspiring tea professionals. Check out the Festival on Saturday, October 2, from 9 a.m.- 6 p.m. and Sunday October 3, from 9 a.m.-4 p.m.